We stock a small collection of beautiful ancient Greek coins, from the Archaic, Classical, and Hellenistic periods. Exquisite works of art from the distant past, steeped in rich mythology, each a relic from the world of heroes and legend. BRONZE AE 21 OF PONTOS, KOMANA, CIRCA 100 BC. SILVER STATER OF THEBES, BOEOTIA, 368-364 BC. SILVER STATER OF THOURIOI, LUCANIA, 350-300 BC. BRONZE PENTONKION OF THE MAMERTINI. MESSANA, SICILY, 220-200 BC. SILVER HEMIDRACHM OF SIKYON, 360-330 BC. SILVER HEMIDRACHM OF NEAPOLIS, MACEDON, 411-348 BC. BRONZE AE 28 OF PONTOS, AMISOS, MITHRADATES VI, 85-65 BC. CORINTHIAN SILVER STATER OF AKARNANIA, 330-280 BC. BRONZE LITRA OF SYRACUSE, SICILY. REIGN OF HIKETAS, 288-279 BC. SILVER TRITEMORION OF THASOS, 411-350 BC. Explore our collection of high quality Roman Republican coins, specially selected for their artistic beauty and historical interest. Examples ranging from the early republican period to the era of Sulla, Cicero, and Julius Caesar. Browse our fantastic collection of Roman coins dating from the reign of Augustus to the early Byzantine period. A wide range of museum quality examples, carefully selected for their superior quality, rarity, and aesthetic beauty. BRASS QUADRANS OF AUGUSTUS, LUGDUNUM, 10 BC. BRASS SESTERTIUS OF CALIGULA, ROME, AD 40-41. SILVER DENARIUS OF VESPASIAN, ROME, AD 73. COPPER AS OF ANTONINUS PIUS, ROME, AD 148. SILVER DENARIUS OF LUCIUS VERUS, ROME, AD 163. SILVER DENARIUS OF JULIA DOMNA, ROME, AD 201. SILVER DENARIUS OF MACRINUS, ROME, AD 217. SILVER ANTONINIANUS OF OTACILIA SEVERA, ROME, AD 248. BILLON QUINARIUS OF ALLECTUS, LONDON, AD 294-296. POST ABDICATION FOLLIS OF MAXIMIAN, LONDON, AD 305-307. An eclectic miscellany of exceptional coins & tokens struck exclusively in the British Isles. Own a genuine piece of British history, from 18th century exonumia to elusive Celtic hammered gold. BRITISH "REMIC" TYPE CELTIC GOLD QUARTER STATER. ICENI SILVER UNIT, EARLY PATTERN HORSE TYPE. ICENI, EARLY UNINSCRIBED SILVER UNIT. SILVER PENNY OF EDWARD III, FLORIN COINAGE 1344-1351. 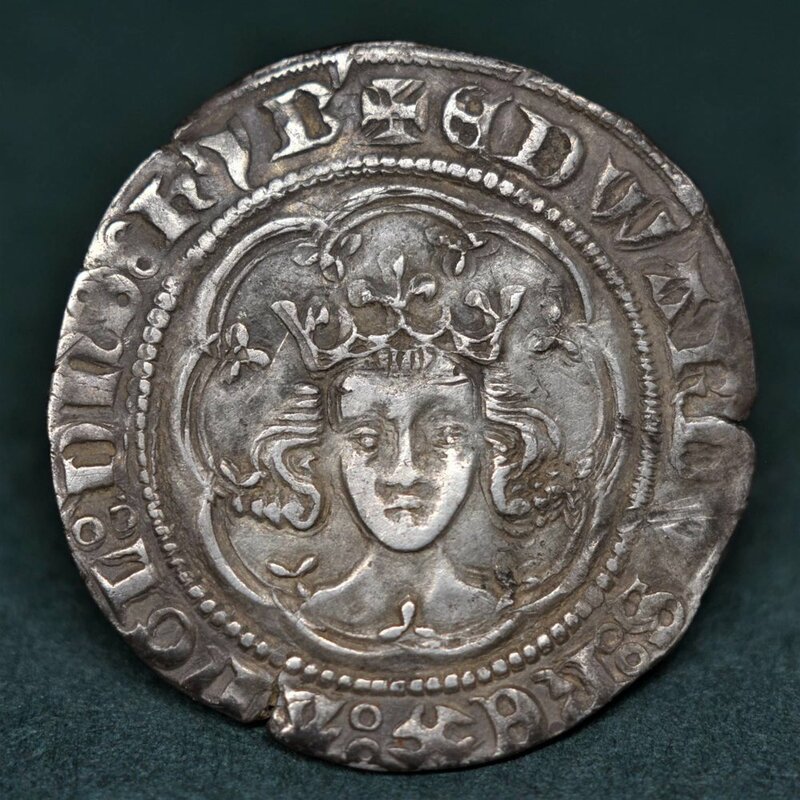 SILVER HALF GROAT OF EDWARD III TREATY PERIOD, 1363-69. SILVER HALFPENNY OF ELIZABETH I, SEVENTH ISSUE 1601-2. BRASS COIN WEIGHT FOR HALF ANGEL OF JAMES I, 1603-25. SILVER HALF GROAT OF THE COMMONWEALTH, 1649-60. ELIZABETHAN COPPER JETON 'TREATY OF NONSUCH' 1585.